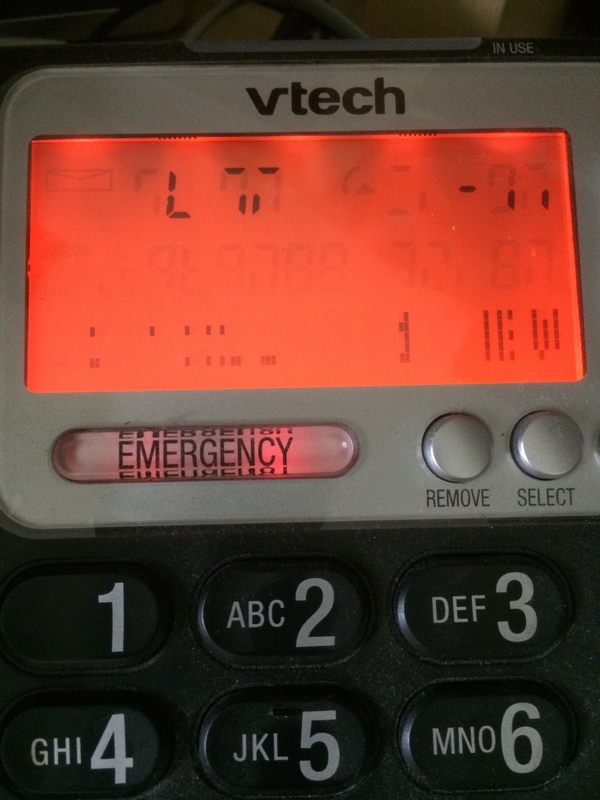 The telephone in my home office has a digital display. Lately, though, it’s been playing tricks on me, as you’ll see in the photo. Normally, it will tell me the time, the month and date, the number I’m dialing, and how many new calls I’ve had. (I suppose it would tell me who was calling, too, if I paid for that option.) But right now, if it’s displaying anything legible, it might as well be in Klingon, because I can’t read it at all. I’m not sure what it takes to fix it; sometimes, it has come back to ‘normal’ all by itself. But over the past few days, it has just been a backlit mess. There are times that we can be that way, aren’t there? Just a backlit mess? Walking as followers of Jesus is not an easy thing to do in our world today, because to live as disciples is to live counter-culturally: while society is going in one direction, we are travelling in the opposite direction. That makes it difficult to be vigilant all the time, and at times, people may look at us and not be sure what they’re seeing – just like my phone display. Someone – I think it might have been the 19th century evangelist, Dwight L. Moody – said that the Christian is the only Bible some people will ever read. That places a heavy responsibility on us to live lives that are clear in their demonstration of following Jesus. We won’t live perfect lives, because we can’t, but when we live with greater clarity of faith than not, we become winsome beacons of light, drawing people out of darkness. Give it a shot. You won’t be disappointed. And the Holy Spirit, who lives within each believer, will give you the strength to do it. “You are the light of the world – like a city on a hilltop that cannot be hidden. No one lights a lamp and then puts it under a basket. Instead, a lamp is placed on a stand, where it gives light to everyone in the house. In the same way, let your good deeds shine out for all to see, so that everyone will praise your heavenly Father” (Matthew 5.14-16, NLT).